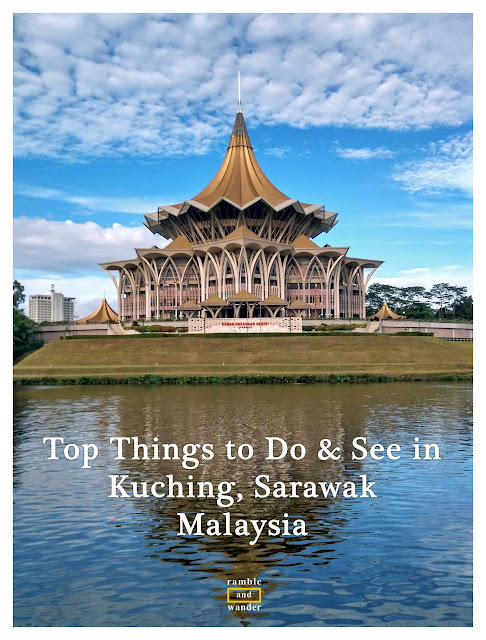 Having just returned from Kuching, Sarawak on Malaysian part of Borneo earlier this month, I feel compelled to write another list of Top Things to Do and See in Kuching. This is not because I suddenly have become an expert on destinations in Kuching, but rather, I feel the places and activities that I went to and did with Sarawak Tourism Board whilst I was in town for the #TSDayOut Special Edition programme with Tourism Selangor deserve a mention in such a list. 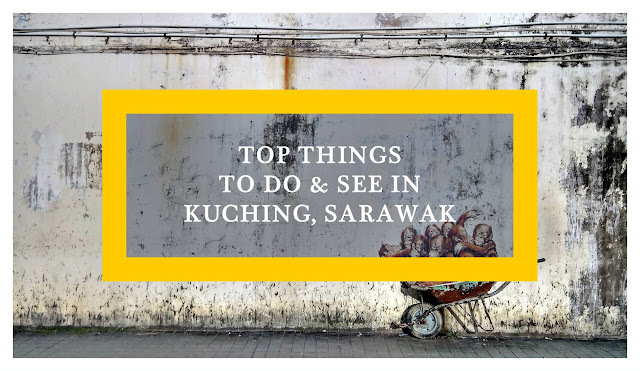 If you like, you can read an earlier list of Top Things to Do and See in Kuching based on the recommendation of Noel Lau (of Wander2Nowhere), a Sarawakian travel blogger, here. Kuching Waterfront and its surrounding areas seem to be where most interesting activities in Kuching happen. 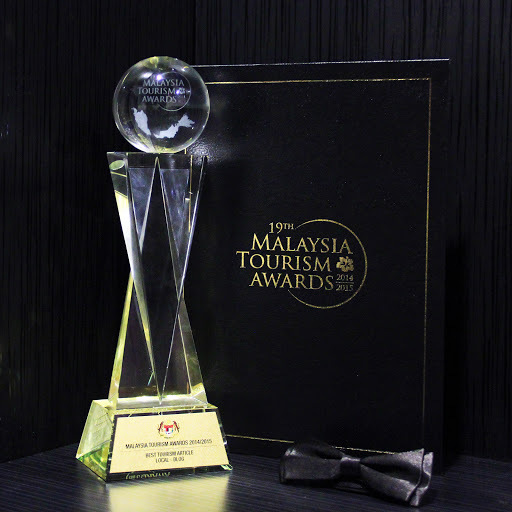 It's probably the easiest place to find local food without having to travel far, get entertained with some live performance by talented buskers by the river, learn about history of the area and the city, browse and shop at Main Bazaar, Little India and even Chinatown. While you're exploring the area, don't forget to be on the lookout for some cool street art and cat statues too! There are plenty of them around town. Kuching after all means "cat" in Malay. TopSpot, a popular seafood food court that is located on the top floor of a car park building, is also located within walking distance from here. Taking this late afternoon river cruise is just perfect for the romantic-at-heart as you can watch the sun sets for the day and welcome the night whilst travelling along Sarawak River. For the not-so-romantic-at-heart however, don't worry, you can still enjoy the sunset and capture lots of photos of the locals and scenes along the river over this 1.5-hour cruise. A short cultural show that showcases the traditional attires and dances of Sarawak's 3 major tribes is just icing on the cake. If you don't have the time for the cruise, try one of the local "bot penambang" (passenger boats) that plies and crosses the river from one side to another. There are some kek lapis - Sarawak's popular layer cake - bakeries located just across the river from the Waterfront. Semenggoh Wildlife Centre is the place to go if you plan on watching orang-utans. Their appearance (during set meal times) however is not guaranteed as they lead a semi-wild life in their natural habitat at the centre. You'd have better chances to "catch" them in action outside of fruit seasons. If you're lucky, you might get to see Ritchie, the dominant orang-utan male, which weighs about 120 kg. However, even if you don't get to see him, watching any orang-utan at the centre is enough to leave you in awe of these creatures. Even if you're not into caves, you should still make the time to visit these 2 caves which are located just outside of Kuching. A visit to one is not complete without a visit to the other as they both offer very contrasting sights and experience. While the cavern at Fairy Cave is huge, well-lit and quite magical, Wind Cave on the other hand is pretty much enclosed, dark and somewhat mysterious. Would like to experience some adrenaline-pumping activities whilst in Kuching? Go kayaking in Semadang! Not only you'd get the rush feeling that you crave for, you'd also be rewarded with some pretty interesting sights along the river and not to forget, a delicious traditional meal of the local tribe, Bidayuh, which is one of the main indigenous groups in Sarawak. 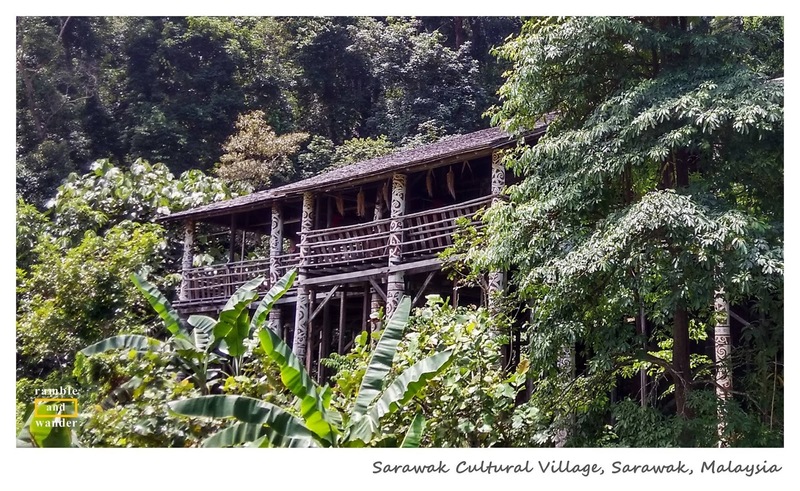 I did not visit Sarawak Cultural Village during the last trip but it was one of the highlights during my first trip to Kuching, Sarawak. While some might find Cultural Village a bit touristy, it's actually a living museum, where over 100 local folks live there, helping to preserve and showcase the cultural heritage of the various local tribes. This is the place where you can learn and observe the cultures & traditions of major ethnic groups of Sarawak. Sarawak Cultural Village is also the place where the annual Rainforest World Music Festival takes place. What do you think of the list? Care to share with us your thoughts on the above places? And if you have been to Kuching, Sarawak before, what other sights do you think are also a must see? #TSDayOut is a Tourism Selangor programme that introduces and promotes interesting places as a day out/day trip destinations in the state of Selangor in Malaysia. The programme is opened to bloggers, media practitioners, and social media influencers. #TSDayOut Special Edition programme combines a trip in Selangor and a visit to another destination outside of the state. For this second #TSDayOut Special Edition, the destination is Kuching, Sarawak. Do check out these Kuching hotels for your accommodation requirements there. Oh wow. I am ready to jump on the next flight out. Seeing the Orang Utangs would be an unforgettable memory for our traveling children. Nice! Borneo is definitely a must, I'd say. It's great that now you're based in Down Under, the airfares to Malaysia and Indonesia can be ridiculously cheap from time to time. I love reading recommendations about what to do at a location by people that have actually done the activity themselves and can give me their firsthand knowledge. The kayaking sounds like great fun. It's great fun, especially when you travel in a group that is up for anything. I didn't think I'd enjoy the cruise myself but I certainly did. Doing it at sunset probably was a major factor. Totally loved the views seen throughout the journey. I was in Kuching so many years ago. I was working in Korea and went to Kuching for a weekend of R&R and I have to confess I did none of these things. I was a total sloth but oh, what a fantastic destination. I am sorry I didn't see the Orang-utans though! Your trip sounds like my first trip to Kuching. I didn't do anything much apart from hanging out around Kuching Waterfront and a day trip to Sarawak Cultural Village. Even then, I already fell in love with Kuching. Put me down for the kayaking in Semadang! I love kayaking/whitewater rafting and this looks amazing! Ah-ha! I'm sure you'd love it! I don't usually go for kayaking but now, I want to go back and try their other packages too, lol! Wow--so many great adventures! I would love to check them all out, especially the orangutans and the sunset river boat! The kayaks look really fun too--kayaking is always one of our favorite things to do! I would love to see Orang-Utangs. We love seeing the wildlife where ever we travel. Panama was awesome we saw monkeys, sloths, plenty of cool birds, Capybaras and plenty more. What other kinds of wildlife did you see? If I am not mistaken I think that Borneo is home to tigers as well as clouded leopards. I'm not sure about tigers & leopards, but I saw at least one crocodile too at the wildlife centre. Rhinoceros hornbills are often used as the state's (tourism) symbol. And... Kuching hosts the annual International Bornean Frog Race too! Dont forget to visit the Museums and other historical building such as Fort Margherita. Damai Beach is nice to visit too. Ah-ha! Yes! Saving some of these for the next visit! Kuching is so serene. I wish I could actually live & work there. That's exactly one of the things that I love about Kuching!